Condition 2995.This Chanel Black Lambskin Chain Top Slouch Shoulder Bag GHW No. 12 is in great condition but does show some signs of wear. 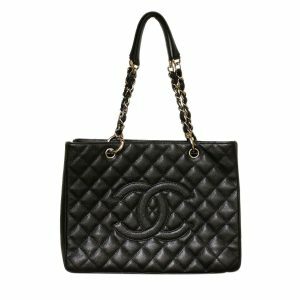 With a beautiful black lambskin exterior and gold chain handles, this bag has the edge and style you’ve been looking for in a shoulder bag! The black lambskin shows some visible signs of wear. You will notice, white stains throughout the exterior which can be seen in the pictures listed. 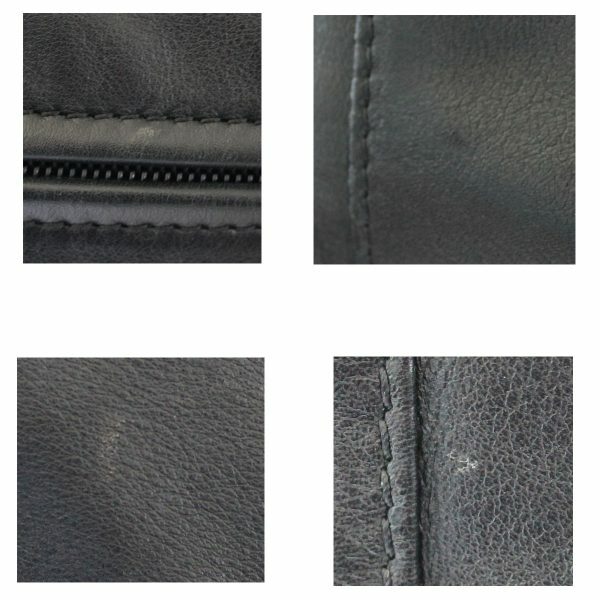 There are also several scratches in the leather which are also pictured. 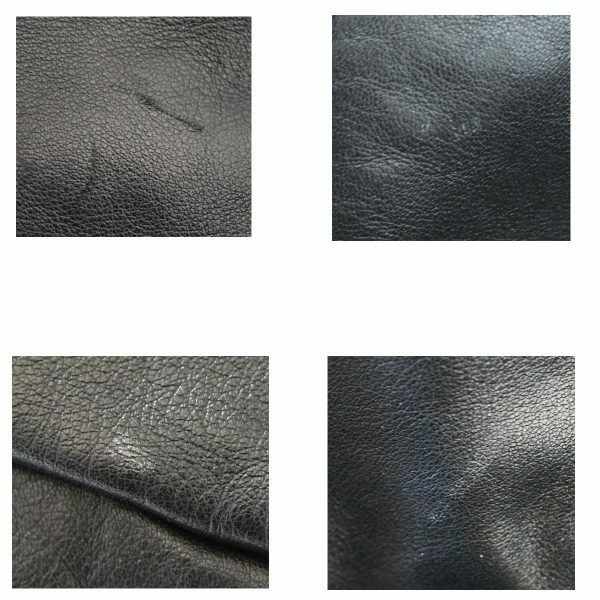 No rips or tears are detected on the leather. 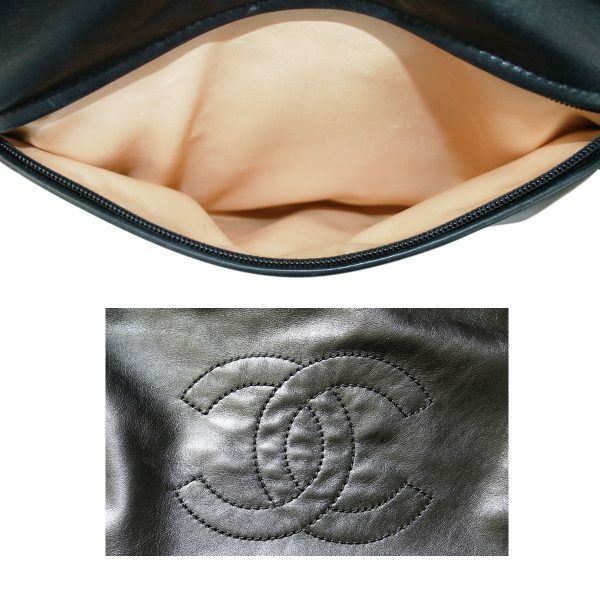 On the front of the bag you have the large CC stitched logo atop a front zipper compartment. 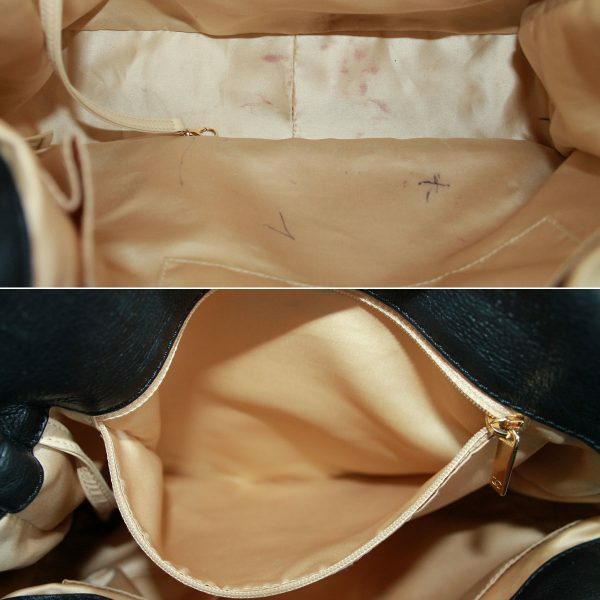 This compartment opens properly to a gold satin interior lining. The interior lining shows minor signs of wear with visible stains on the very bottom of the lining. As you look around the bag, you will not see any visible scuff marks. 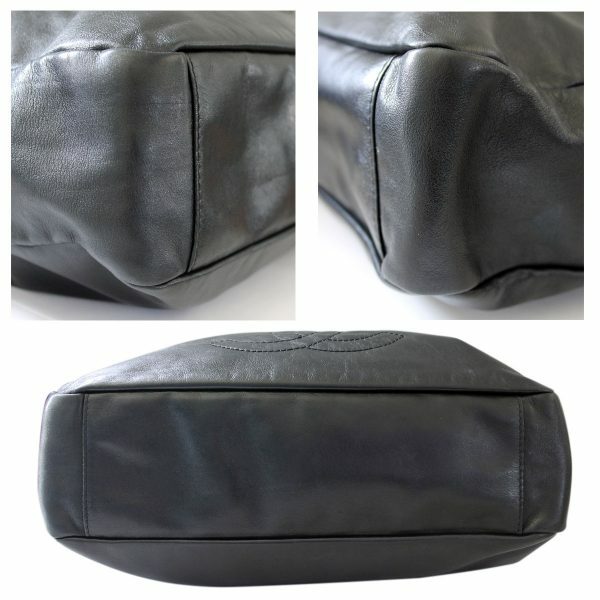 The bottom and bottom corners of the bag are well intact with no scuffs and no tears in the leather. 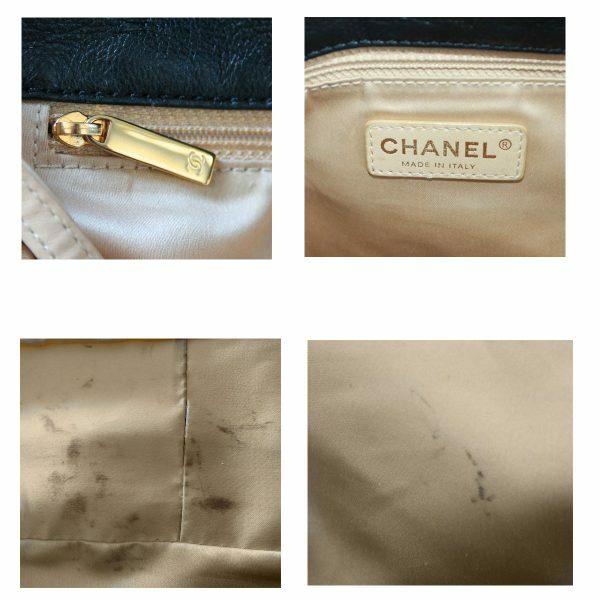 Some additional white stains are visible underneath the bag. The back of the bag shows the white stains near the handles, and again towards the bottom of the bag. The gold chain handles are in excellent condition with no visible tarnish. These handles have a drop of 5.5 inches. 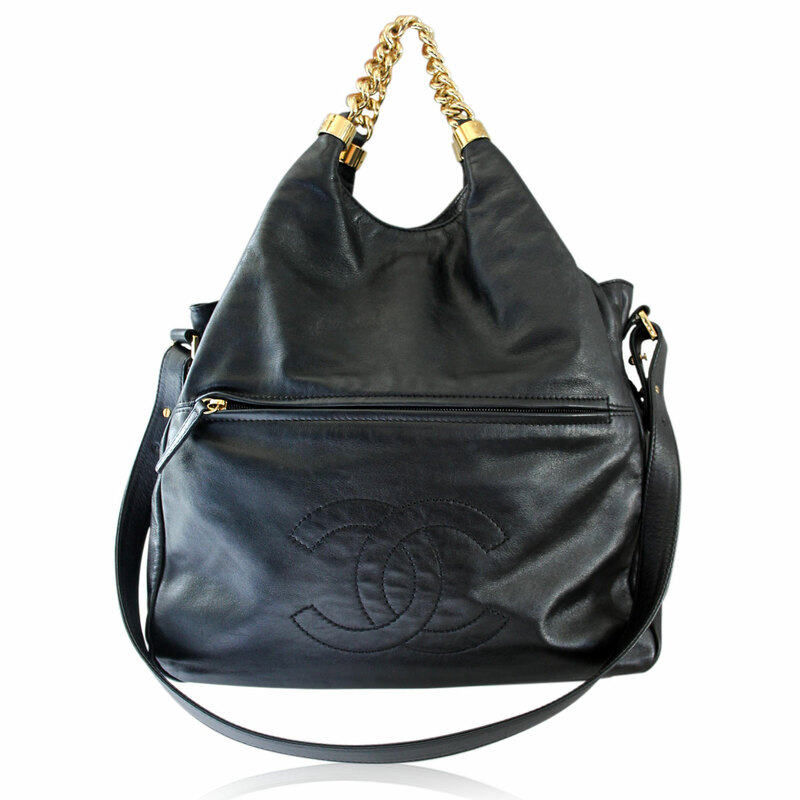 There is also an additional black lambskin shoulder strap that is adjustable by a gold ball and screw system. The drop of this shoulder strap is 15 inches. 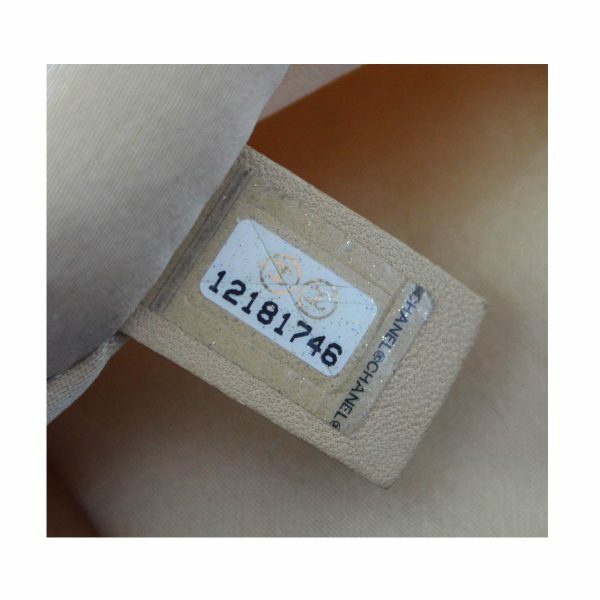 The shoulder strap is in excellent condition with no visible signs of wear. 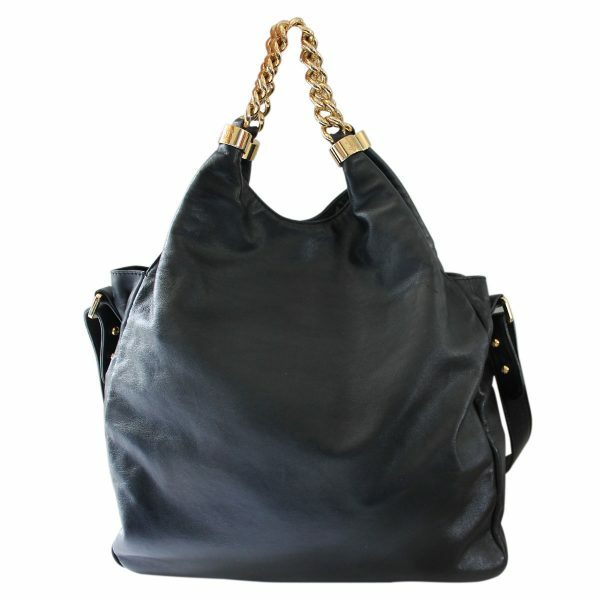 This bag has a magnetic snap closure which opens to the gold satin interior lining. 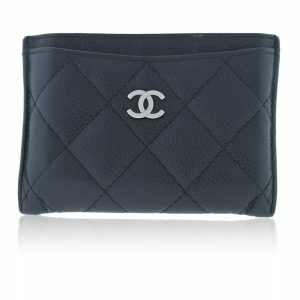 The interior consists of one large zipper compartment, 1 large pocket, and 1 smartphone pocket. 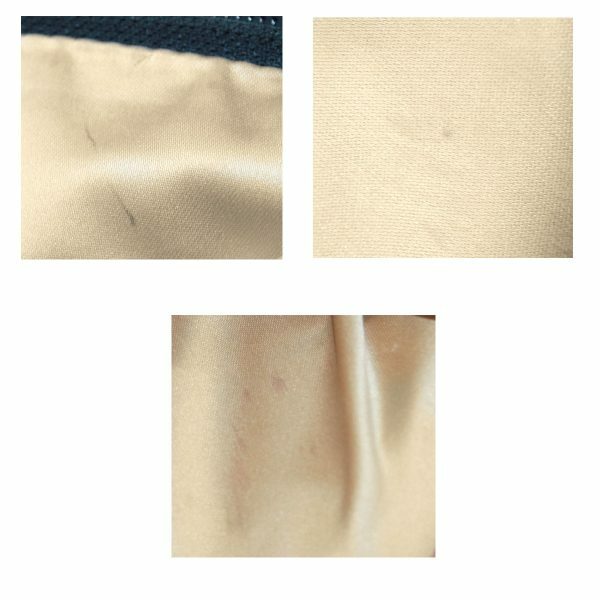 The lining has visible signs of wear with multiple make up stains and pen marks. 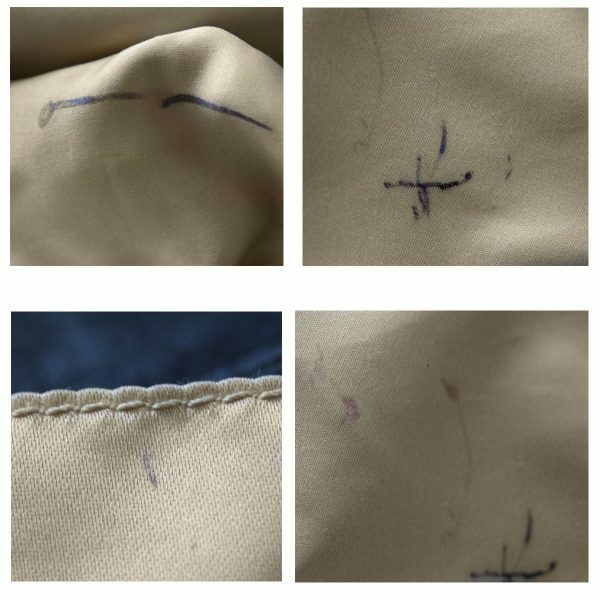 These stains are visible in the pictures listed. The zipper compartment works properly and shows faint stains including pen marks as well. There are no foul odors, rips or tears within the interior of this bag. This bag is great for every day use with a deep interior and multiple compartments to keep yourself organized. With a proper light cleaning of the exterior and a professional cleaning of the interior lining, this bag can look as good as new! 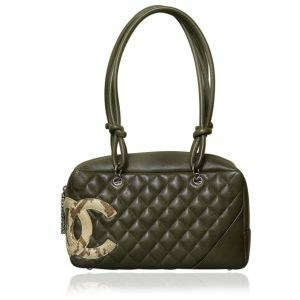 This Chanel Slouch bag comes with a Chanel box! Buy it now or make us your best offer!